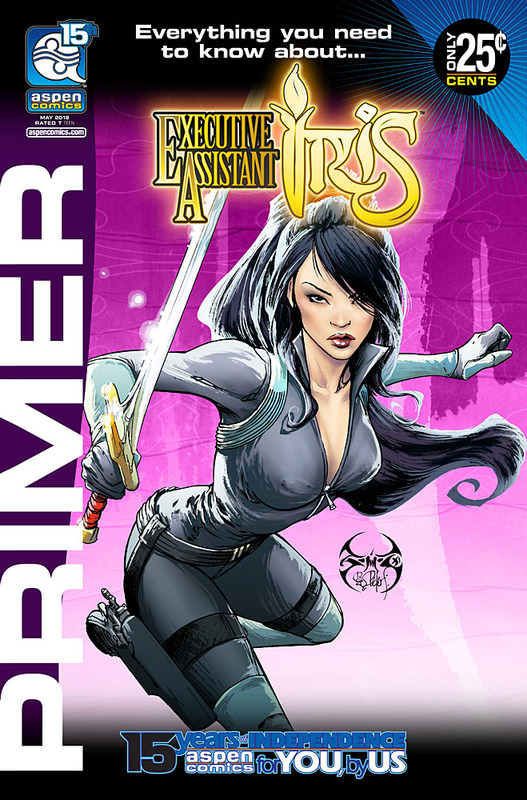 Aspen Comics 15 Year Celebration Wave 1 is coming! 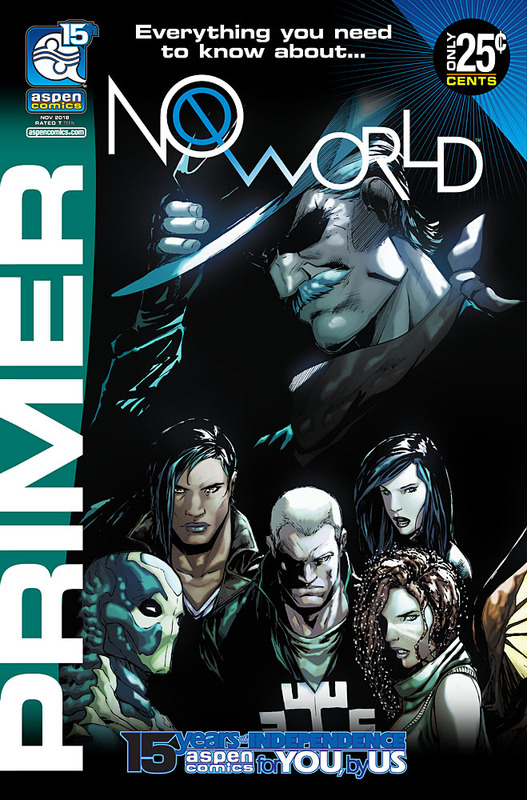 Aspen Comics, the comic book publishing house founded in 2003 by the late superstar artist Michael Turner, will be celebrating its fifteen-year anniversary in 2018. To celebrate, the publisher is planning a yearlong initiative featuring a return to many of its classic properties. 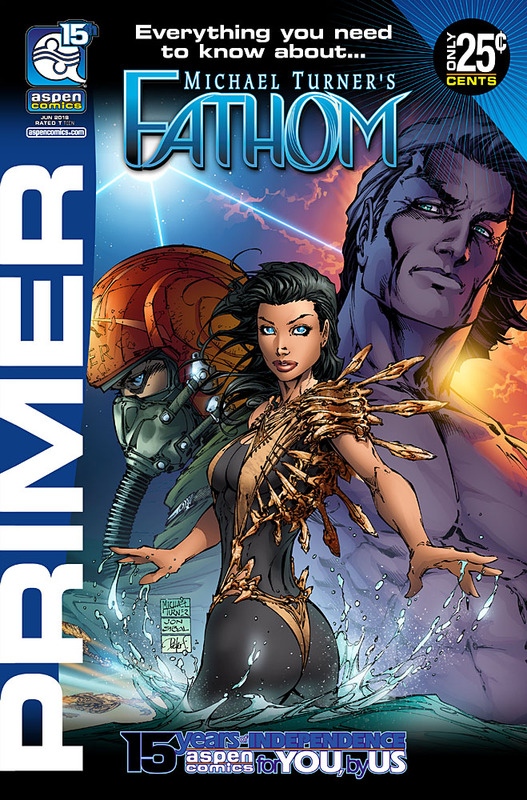 Three of Aspen’s flagship titles will be highlighting significant milestones, with Michael Turner’s Fathom and Soulfire’s twenty and fifteen year anniversary respectively, and Executive Assistant: Iris’ ten-year anniversary as well. 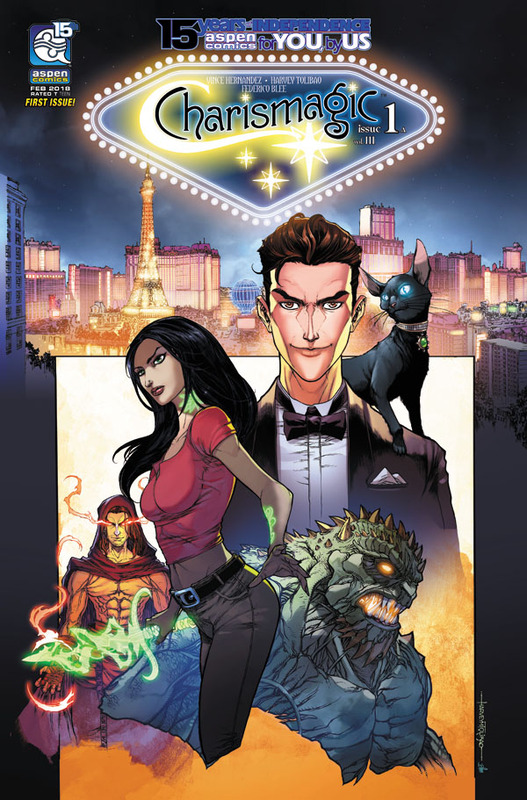 Aspen will also be debuting a 4-page Aspen Mascots story premiering each month in the back of every new Aspen Comics release. The Aspen Mascots stories will be written by Vince Hernandez (Michael Turner’s Fathom: Kiani, Charismagic) with art by Joie Foster (Aspen: Choose Your Own Adventure) and will feature Aspen’s lovable band of mascots, creatures and other fun Aspen critters in all-ages bonus content storylines. 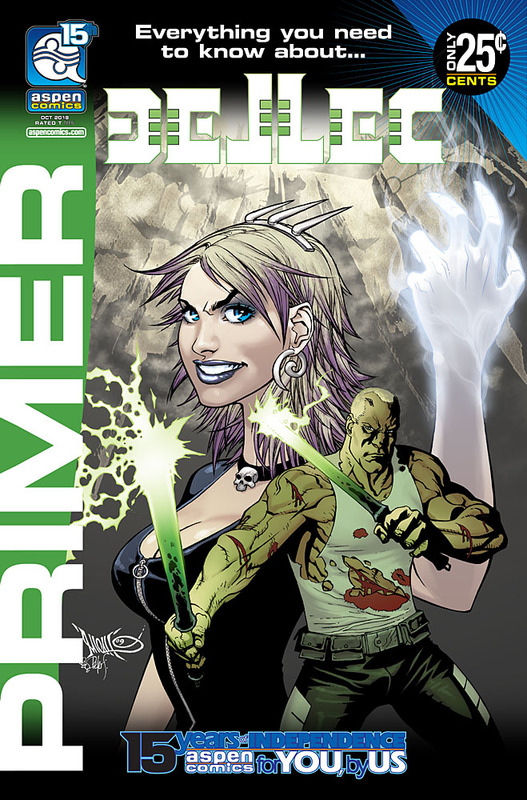 Aspen will kick off their anniversary year in January with the release of the Aspen Legacy #1 issue, a yearbook-style offering showcasing everything from Aspen’s past, present and future, and collects a thorough look inside and behind-the-scenes of Aspen Comics. 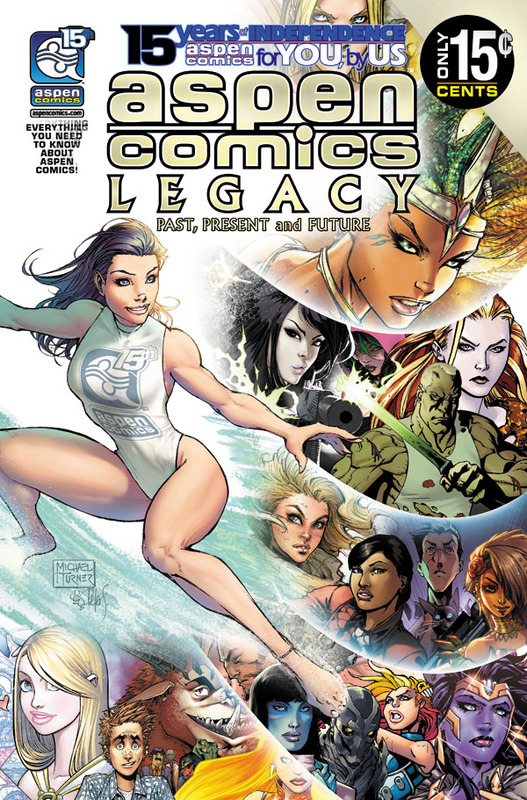 Aspen Legacy #1 will be released on January 17th and will be offered for only 15-cents with art by various Aspen alumni artists including Michael Turner, Talent Caldwell, Micah Gunnell, Marcus To, Francis Manapul and more. 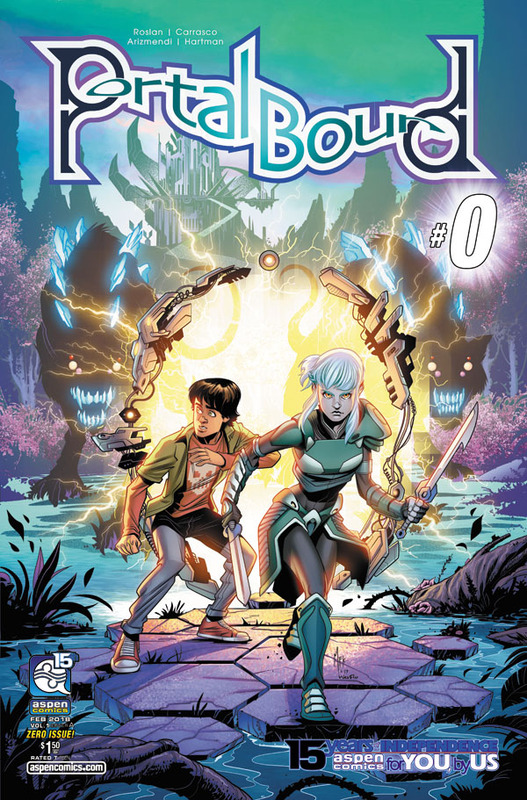 PortalBound #0 written by Mark Roslan and Gabe Carrasco with art by Alex Arizmendi and Wes Hartman is a new sci-fi/fantasy/action-adventure mini-series slated for five issues debuting February 7th with covers by Arizmendi and Adam Archer. PortalBound #0 will be offered for $1.50. 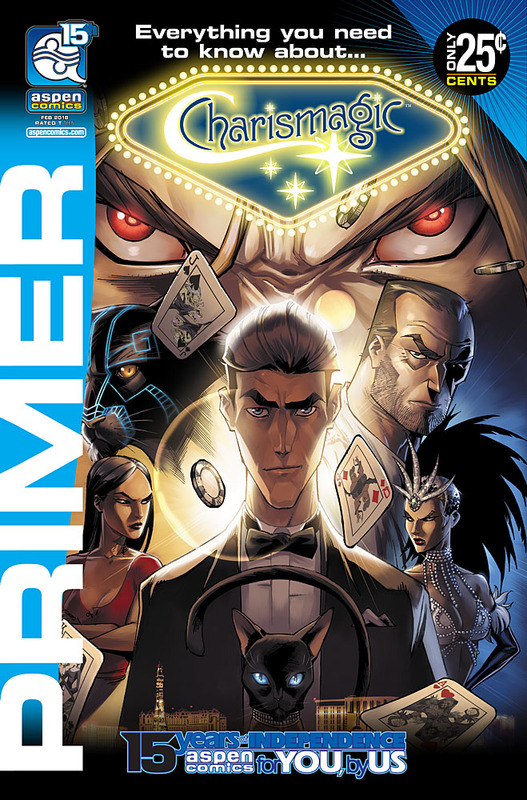 Charismagic Volume 3 #1 debuts on February 14th written by Vince Hernandez with art by Harvey Tolibao and Federico Blee with covers by Tolibao and Khary Randolph. 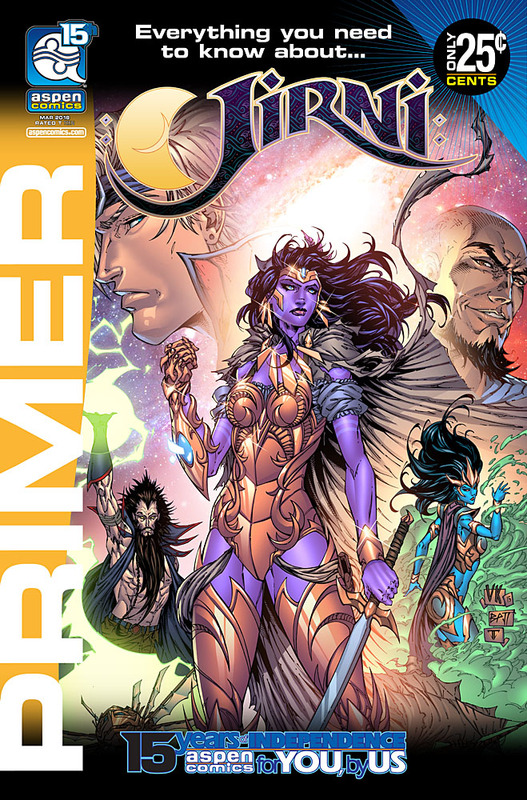 Volume 3 is supported by the release of Charismagic Volume 2 in trade paperback form, as well as a re-offering of Charismagic Volume 1 as part of the continued release of the action-adventure/fantasy series. 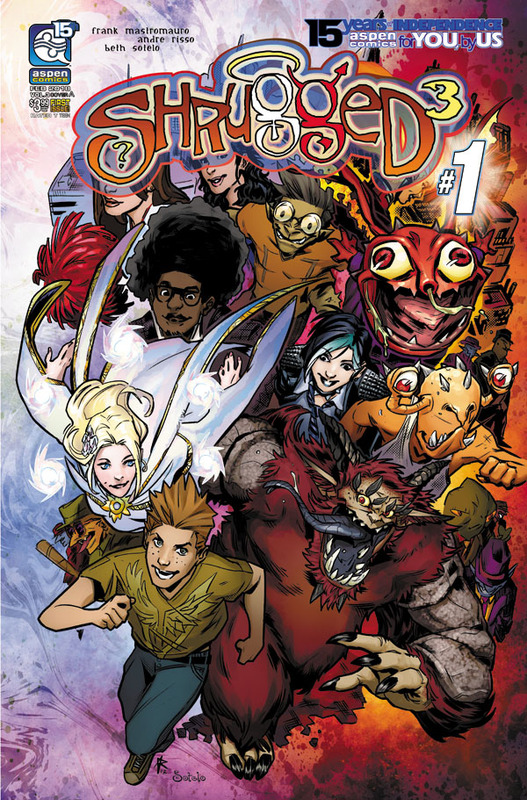 Shrugged Volume 3 debuts on February 21st written by Frank Mastromauro with art by André Risso and Beth Sotelo with covers by Risso and Micah Gunnell. 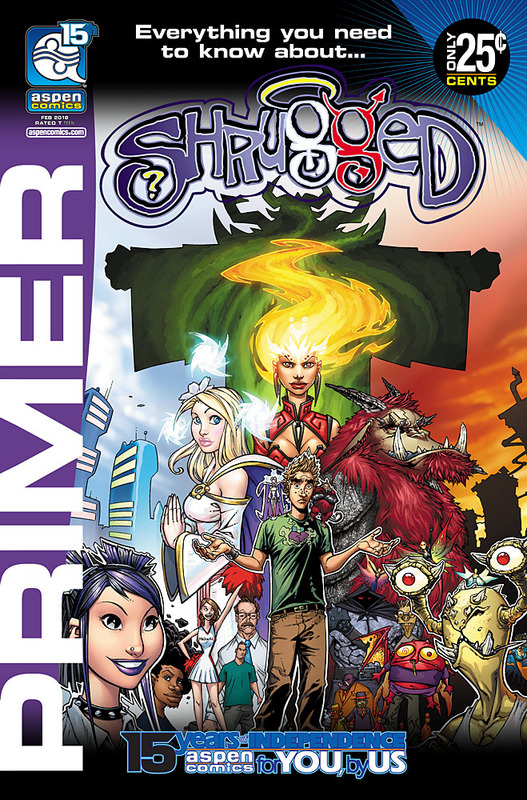 Shrugged is supported by the release of Shrugged Volume 2 in trade paperback form, as well as a re-offering of Shrugged Volume 1 in February as well. 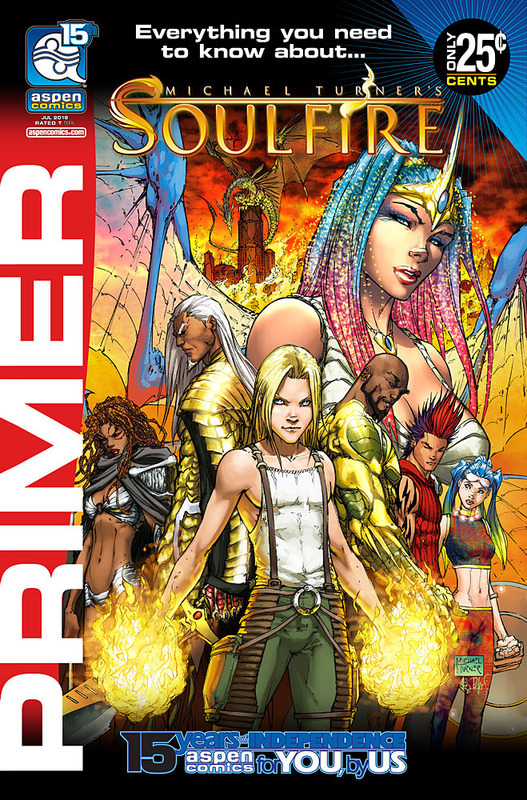 For new readers unfamiliar with Aspen’s catalogue of titles, the publisher will be offering 25-cent Aspen Primer issues throughout the year for its classic titles: Michael Turner’s Fathom and Soulfire, Executive Assistant: Iris, Charismagic, Dellec, Jirni, No World and Shrugged.